Over the past decade, debate has ensued regarding the use of silver-mercury fillings due to the possibility of long-term exposure and absorption. Silver-mercury fillings, also called dental amalgams or silver fillings, are made of 50 percent liquid mercury and 50 percent powdered metal alloy, such as silver, tin, and copper. The combination of materials is mixed to create a putty type filling that hardens inside the cavity and has a gray or silver appearance. At South Lakewood Dental, Dr. Scott Stewart and our compassionate team of dental professionals believe that no amount of mercury is a safe amount. Individuals are exposed to low levels of mercury from the environment. Mercury has been shown to affect the kidneys and brain. 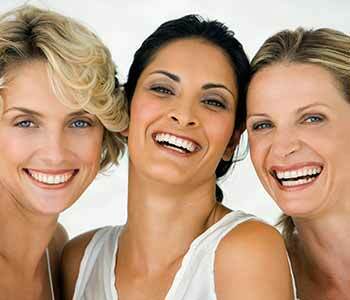 Because we emphasize providing our patients with alternatives, we offer mercury-free fillings. Mercury safe removal – conventional removal involved grinding out the filling, which may have the potential for releasing particles that can be absorbed, inhaled or ingested. We provide draping to prevent particles from landing on the skin. Ventilation of air reduces risk of inhalation. A non-latex, rubber apparatus prevents debris from getting into the throat. Any particles are contained and collected. Clean and continuous water spray and suction remove particles or debris and prevent spatter. The mercury-amalgam filling is removed as intact as possible. Other “safe” procedures are also used in addition to those stated above. Dr. Stewart is committed to protecting our staff, our patients, and our environment from the potential risks associated with mercury exposure. As a biological and holistic dental physician, he understands that any procedure that affects a patient’s mouth and oral health has a subsequent impact on his or her overall health. Scientific research clearly demonstrates the link between oral and physical health conditions. To learn more about mercury-free dentistry and the safe removal of silver-mercury fillings, contact us today at (855) 233-0023. South Lakewood Dental serves patients and their families from Lakewood, Wheat Ridge, and nearby neighborhoods in Colorado.